Jurgen Klopp spoke to reporters at Melwood ahead of Wednesday night’s meeting with Leicester City at Anfield. The Reds have had an extended break after their last outing, beating Crystal Palace in dramatic fashion before jetting off to Dubai on a warm-weather camp. Klopp will know that momentum can take Liverpool far in the title race, as he hopes to extend their lead over Manchester City to seven points. However, the boss has warned that Leicester are a formidable side who could prove to be tricky, despite being in a bad run of form of late. “We expect a very, very good side,” he told reporters. “I’m really happy that it’s a Wednesday night game, because I hope that our supporters feel the need to [show] real support. “It’s a while ago that we played at home, 10 days or so, so we are really looking forward to it, but it will not be easy as well, like the last game was not easy. The boss also delivered an injury update on the likes of Virgil van Dijk, Dejan Lovren, Gini Wijnaldum and Fabinho. However, Trent Alexander-Arnold and Joe Gomez continue to be sidelined due to injury, with the clash against Leicester coming too soon for the duo. It remains to be seen who features at right-back, with James Milner also suspended. Fabinho is one possible option for Klopp, who was coy with reporters about his lineup. “You have to wait until tomorrow. We will play with a right-back, or a wing-back, [but] I don’t know [who],” he said. 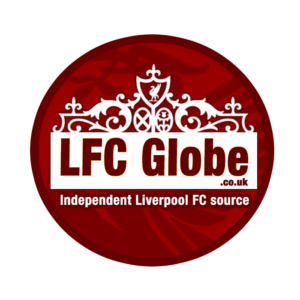 Liverpool vs Leicester kicks off at 8pm on Wednesday night and you can keep up with all the drama via LFC Globe’s live match-day coverage.